If your workplace is too cold for your comfort or you need a heater to warm yourself in chilly weather without worrying about blowing a fuse, consider a low wattage space heater. 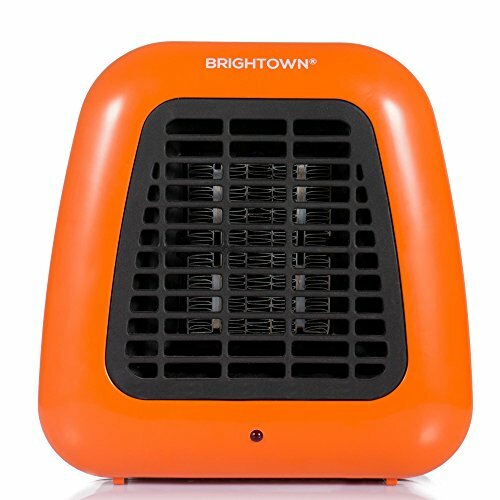 These low powered heaters will not be hard on your pocket and will usually be small, quiet and portable. They won’t disturb your coworkers, nor upset your facility or others by tripping any breakers. Best of all, they won’t inflate your utility bills much either. Let’s see what you need to know about these great heaters, and figure out the right one for you. This measurement is useful for comparing different heating element types and is a critical factor that determines the life of the element. If the watt density is too low the heater price will be high, but it will have a much longer heater life. On the other hand, if the watt density is too high, it could shorten the life of the heating element significantly. Not only can you use the heater’s timer to have it turn off after a preset interval, but you can also use it to turn it on and off at times when you will be out of the house, conserving energy and saving on bills. Check that the thermostat is not obstructed. Start off by setting the temperature at a medium setting, such as 85 degrees Fahrenheit, and then adjust it once you’ve seen how the heater reacts to the space you are heating. If your heater is programmable, it means you can set the temperature and timing of the heating system, as well as have it change temperatures throughout the day and at different times throughout the week to accommodate your preferences. This is great for schedules where people are at home more on the weekends than during the week, for example. 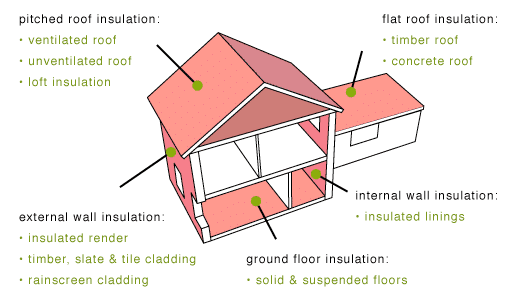 Your heater can be very efficient at creating heat, but it will be useless if your room or house isn’t well insulated. Check that the walls of your house have sufficient insulation to keep the heat trapped within the house, and consider getting double glazed windows if you don’t already have them. When planning how to best to heat your home, consider the various options for effectively heating your rooms. Maybe you don’t need to use central heating if you only occupy one room at a time, or you may not need to run heaters in multiple rooms, as it is more cost effective to only heat the room you are in. Use apps or internet-enabled devices like the Nest Thermostat to control your heaters remotely and save even more on energy costs. To make purchasing and deciding on a low wattage heater a bit easier, we’ve rounded up some of our top picks below. These heaters are low cost, small, quiet, and generally offer great bang for your buck. The Personal Ceramic Portable mini heater can keep small spaces warm while being unobtrusive and compact enough to keep out of sight. It has a built-in mechanism that turns the heater off if it is knocked over. It also features a safety overheat shut-off. This cute, sturdy little heater packs a lot of power, and the design is sleek and minimalist. It is lightweight and portable but offers plenty of heat for such a small heater. Plus, it’s quiet enough not to disturb you when working or studying. This little heater is hard to beat for the price. You get a powerful heater which is moderately quiet, takes up only a little space, and will warm small rooms or areas effectively. 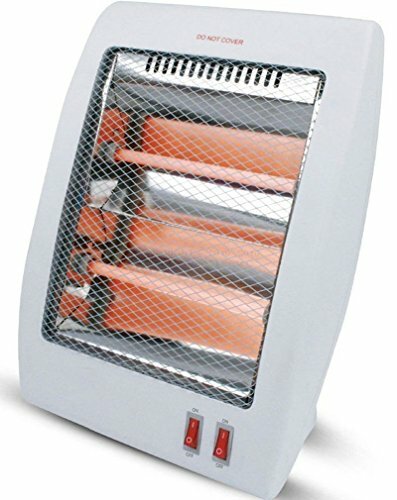 This Ceramic heater comes fully assembled and offers a 3-year limited warranty. 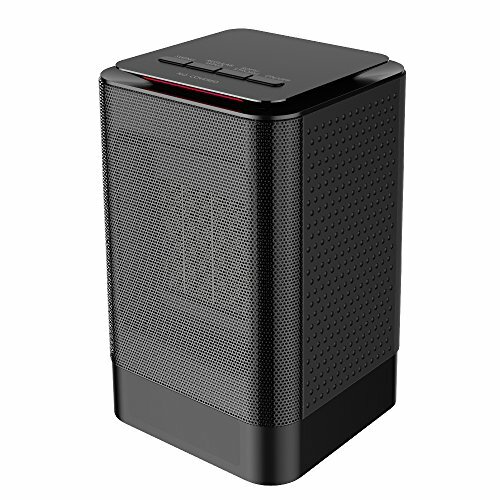 It can warm small spaces with 200 watts of power and a quiet fan. It works well as a supplementary heater and is recommended for personal heating or very small spaces. Only Heats up to a Distance of Two Feet Away from the Unit. This little heater is sufficient to warm your hands or feet, but don’t expect it to heat much more than that. It also heats up only a small area around the unit, but does run silently and doesn’t consume much electricity. Available in 14’’, 24.5’’ and 25’’ height, the oil filled radiator from Costway can heat any room with its convective heat. You can set the desired temperature with mechanical controls and its safety features include overheat protection. Compact and fairly light, this unit has a carrying handle for portability. In addition, the quiet operation will never bother you while falling asleep or focusing on your work. This little heater is good enough to warm a small office or bedroom, runs silently, and doesn’t consume much electricity. It’s ideal for situations where you want a quiet, efficient heater. This tiny heater has three modes for heating your space just the way you like it. Being small and compact, it is ideal for carrying around and the carrying handle makes it easy to move. It has an automatic, oscillating tower heater design, with a fan that keeps sound levels below 45 decibels, and has a built-in automatic thermostat. It also has an auto-shutoff for overheat protection. 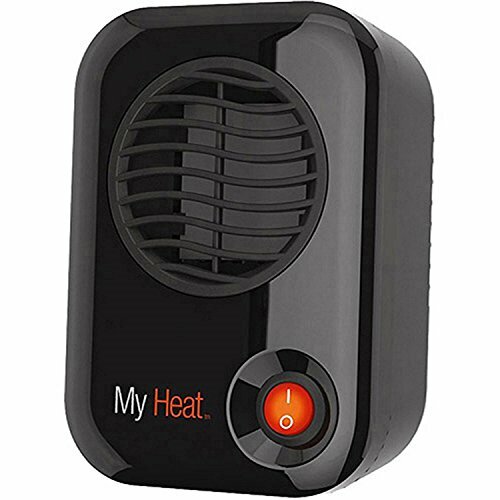 This compact heater will efficiently warm a small office or bedroom and comes with plenty of safety features. It’s not great for very quiet rooms, but if you don’t mind a little noise, you will love this heater. This quiet, portable, and compact little heater is great for office or home. You can use it in half mode, or full mode when more heating is required. Being energy efficient, it won’t trip your circuit breakers or increase your utility bills by a great deal. The heater has built-in overheat and tip over protections, along with a 2-year warranty. This compact heater won’t trip any breakers thanks to its low power consumption and will put out plenty of heat even at half power. It’s great for quietly heating up your small space and won’t be annoyingly loud. It’s very important for you to have a safety checklist when purchasing a heater, as following the right procedures when dealing with heaters will keep you and the people around you safe. 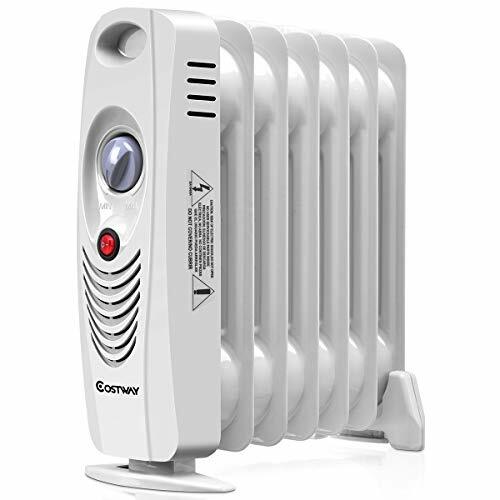 Prevent overheating by buying only heaters with overheat protection. Make sure your heater has a thermostat. Heater safety. Before you buy the heater, ensure that it has been approved by an independent testing lab. Follow the instructions of the manufacturer when operating the heater. Keep at least three feet of clearance around your heater on all sides, as otherwise, you run the risk of starting fires or heating up nearby objects. Keep the heater on a stable and level surface, making sure that it is well out of the way and not in danger of being kicked or falling over. Plugging your heater into an extension cord is not a good idea, so avoid it. Unless the extension cord is well-shielded, you run the danger of overloading it with the increased power and starting a fire. Always keep the heater out of the way, in case you need to leave your desk or room in a hurry, or just so people don’t knock the heater over when entering or exiting the room. Always turn off the heater if you will be away for more than a few minutes and never leave it unattended while you’re outside the room. Keep it well away from small children and pets. There are plenty of low watt heaters out there, but you should keep in mind your needs and situation when purchasing one. In case your workplace is too cold, you might keep one under your desk for warming just a small area, in which case you will prefer a low profile and modest amounts of heat. On the other hand, you might need something a bit more powerful for heating an entire room. In any case, you should follow our safety checklist to ensure that you and your family are safe at all times, and your building is not at risk of fire. Check out our list of top picks for great heaters at very affordable prices.